After graduating in 2004 from the St. Petersburg Conservatory in Russia, Anastasia Dedik continued her education in the United States at the Oberlin Conservatory of Music and the Julliard School. 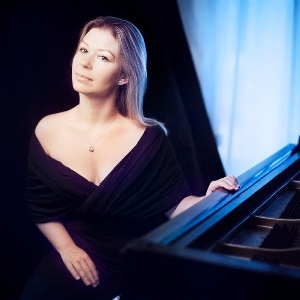 She has performed as a soloist and featured pianist with orchestras across Europe and America. She has won first prize in international competitions including the Van Cliburn Institute/Piano Texas Concerto and the New York Concert Artists Associates first Concerto. Her performance of Tchaikovsky’s Piano Concerto No. 1 was described as “flawless and memorable” (New York Concert Review). Click Here For Overhead View.